Whether you are fueling your workouts or mental energy to attack your day, our mugs are made for the strongest, most caffeinated coaches and athletes out there. About This STRONG, BOLD, STURDY Mug! 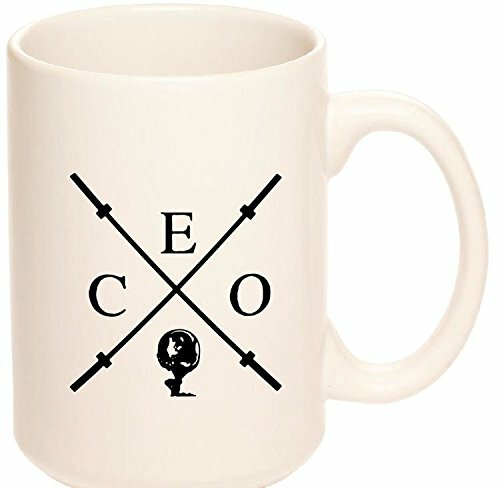 Embody physical and mental strength everywhere you go with this one of a kind mug! The Barbell CEO logo represents Atlas, the Greek God of Endurance, who was condemned to hold up the sky for eternity. The physical and mental strength that Atlas needed is reflected today upon thousands of strong willed coaches, athletes, and entrepreneurs.